Finally and unfortunately i got a new mobile beyound my expectations. Welli had bought what i wanted at first, a motorola..ap product but well it wasn't so good and it sorta went wrong quite fast which gave me a huge disappointment. 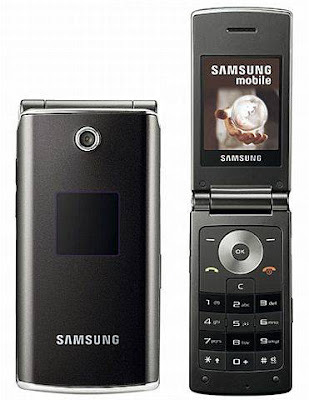 Not much choice was given when i asked for a change and well i got this original samsung instead. What do i think of this product. Well physically to me it is beautiful and gives me a classy feel except with the oled front screen. the buttons are user friendly too. on to the softwares... gosh well its a bit complicated to me. maybe it was my first time using this kinda mobile.The camera... well 1.3 what can we expect? the quality is dark and a bit blurry and of course not so detailed. The big disappointment was probably it cant catches bright light.probably suitable only for close up pics. the music player... well wasnt interested in that. Another disappoint ment is that u can't choose ur own alarm tone or sms alert tone. :( or mabe i haven figure how to do it. manual is helpless tho. Well for a 500 plus original phone guess this is the standard you can buy with unless your getting AP's which isn't so good.